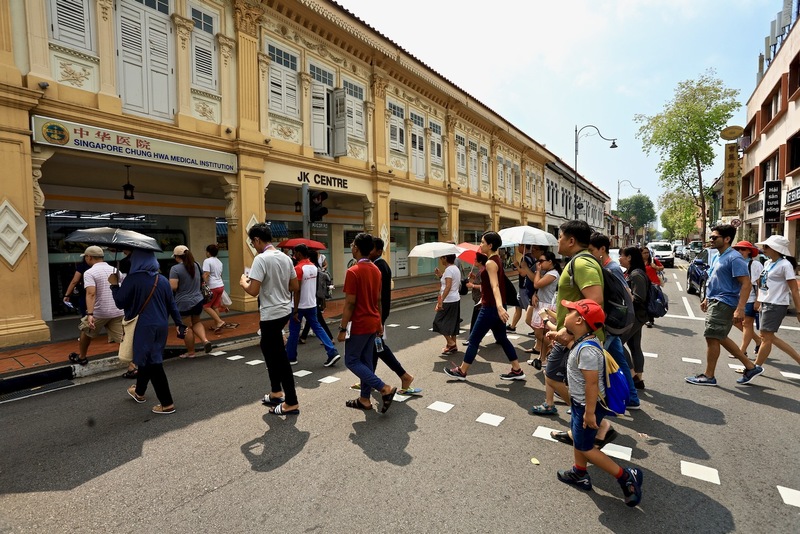 On a nice Saturday morning on the 23rd March 2019 in Singapore, a small group of us, Community Ambassador and Council Member from the EOS World, by Canon Singapore (Imaging Partner supporting this event) got together in the Joo Chiat district of the Marine Parade Cluster, helping out in “The Peranakan Project”, a photo walk with participants around various locations in Joo Chiat, visiting, learning and understanding more about Peranakan Culture in Singapore. Together with Victor, June, Iris, Uncle CE and myself, along with John, our EOS World Community Manager and Ron from Canon Imaging Academy of Canon Singapore, we had a fun morning photo walk, helping out the group guides in the photo walk, starting off from Old Bibik’s Peranakan Kitchen. The Peranakan Project Photo Walk was organised by Marine Parade Cluster, whereby my friend Jude is also active inside the Marine Parade Cluster. 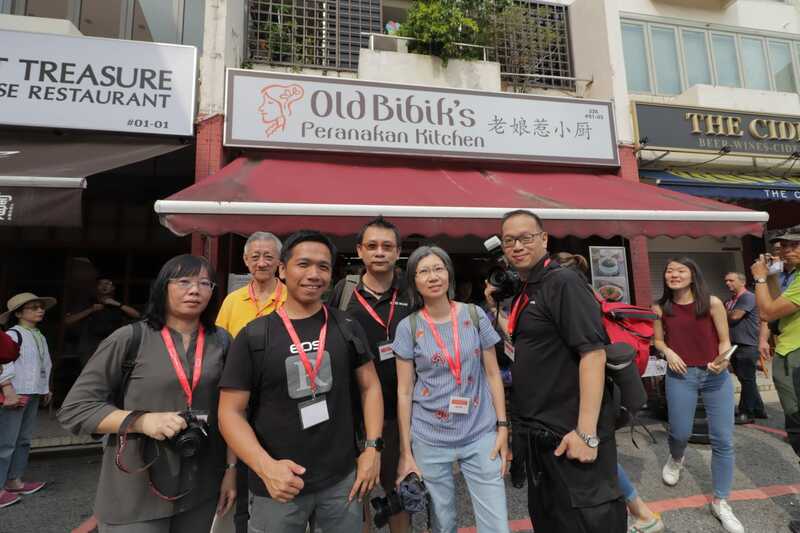 For those who love delicious Peranakan cuisine, do visit Old Bibik’s Peranakan Kitchen, we had a delicious brunch before starting off on our photo walk. Before starting the guided photo walk, participants had the opportunity to do food photography shoot with the Peranakan dishes setup on the table. 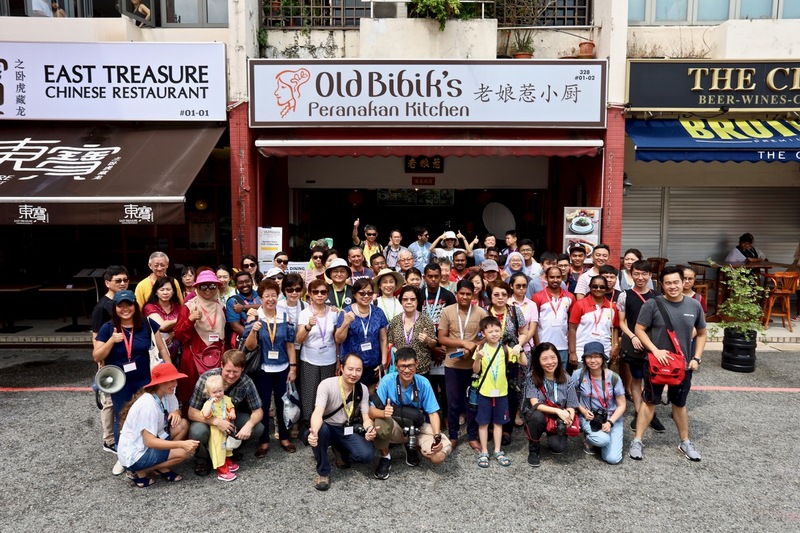 A big group photograph was taken outside Old Bibik’s Peranakan Kitchen before the start of The Peranakan Project, a photo walk exploring and learning about Peranakan history, heritage and culture in the Joo Chiat district. 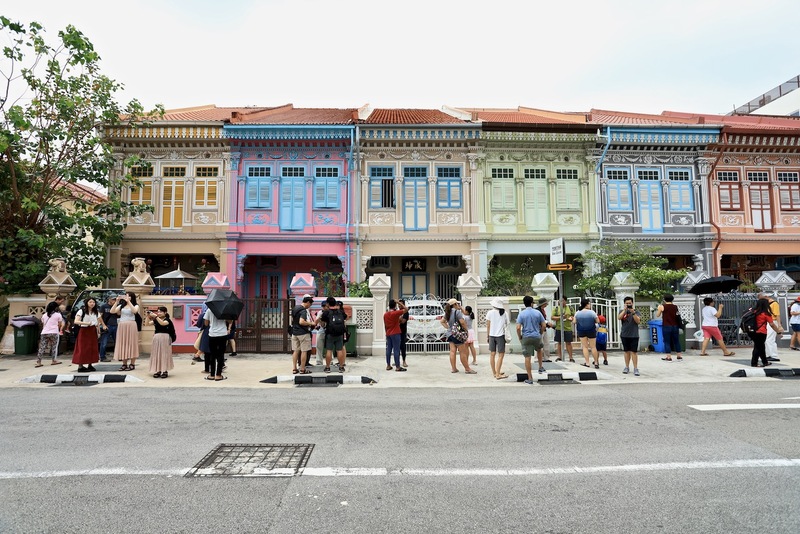 We visited some of the iconic landmarks in Joo Chiat district, the colourful Peranakan Houses along Koon Seng Road, Katong Houses along 150 East Coast Road, Katong Antique House, Kim Choo Kueh Chang before finishing the photo walk at Joo Chiat Community Club. 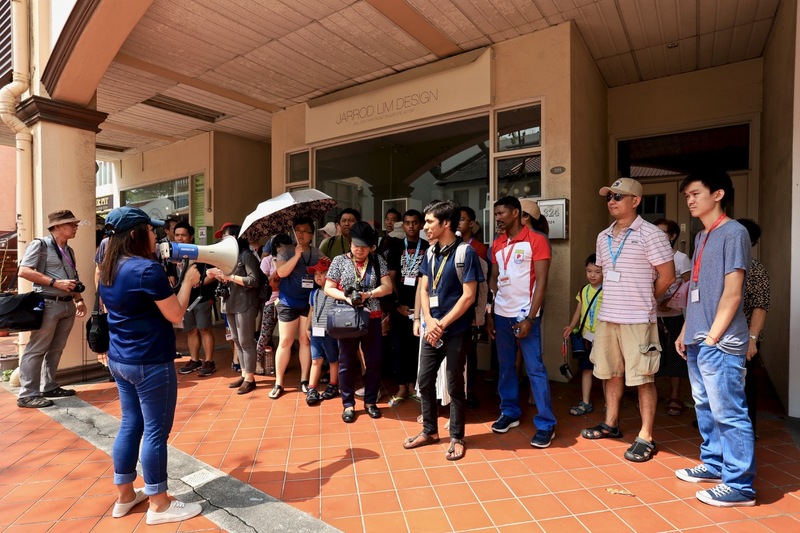 Our group made pit stops at some of the back alleys of Joo Chiat district where there were interactive stations for participants to join in and have fun. As one of the photo guides and helpers, I didn’t take as many photographs as I would like, since I had to help to keep a lookout for my group’s participants, therefore I took photos of the participants and behind the scenes photos instead. I had previously explored Joo Chiat district on a number of occasions, just a few weeks back prior to the Peranakan Project photo walk, I planned a video and photo shoot for Hpility SG Vivo Smartphone project in this vicinity. 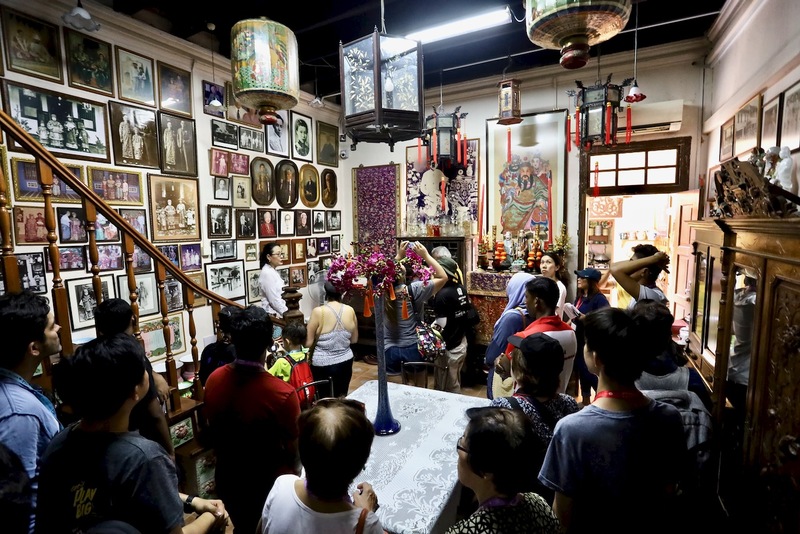 Personally for me, the visit to Katong Antique House was very memorable, a remarkable private museum that has a long and rich history and heritage packed inside there. I hope to visit them again to learn more about in-depth about Peranakan history, heritage and culture. Kim Choo Kueh Chang was also great, participants got the opportunity to taste some of the nonya delights, absolutely authentic and delicious. A photo walk, would never be a real photo walk until you started chatting with participants, photo guides and helpers on camera gears, the debates and discussions between photographers whether they are enthusiasts or professional photographers. 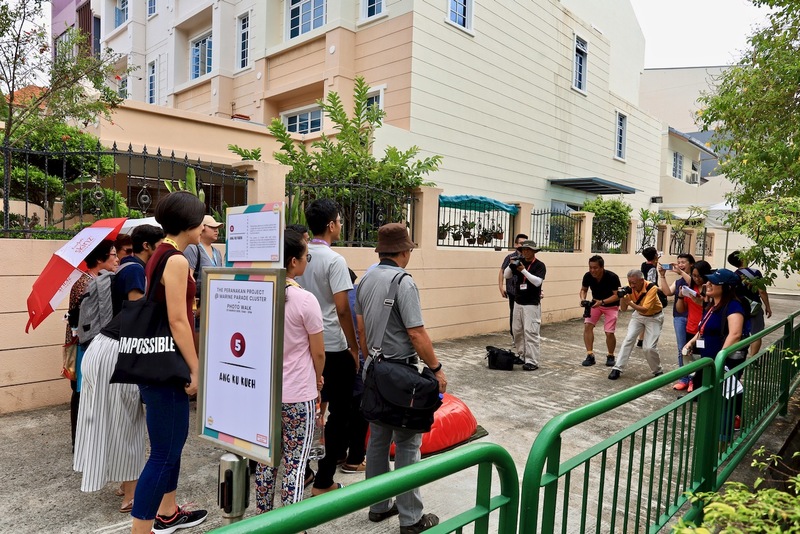 I brought my Canon EOS RP full-frame mirrorless camera out for the Peranakan Project photo walk, attracted some fanfare attention from fellow Canon photographers as well photographers using other camera brands. We did have some interesting chats and debates among us at the Joo Chiat Community Centre! Nevertheless, the lightweight Canon EOS RP makes it very ideal for street photography and travel photography too! 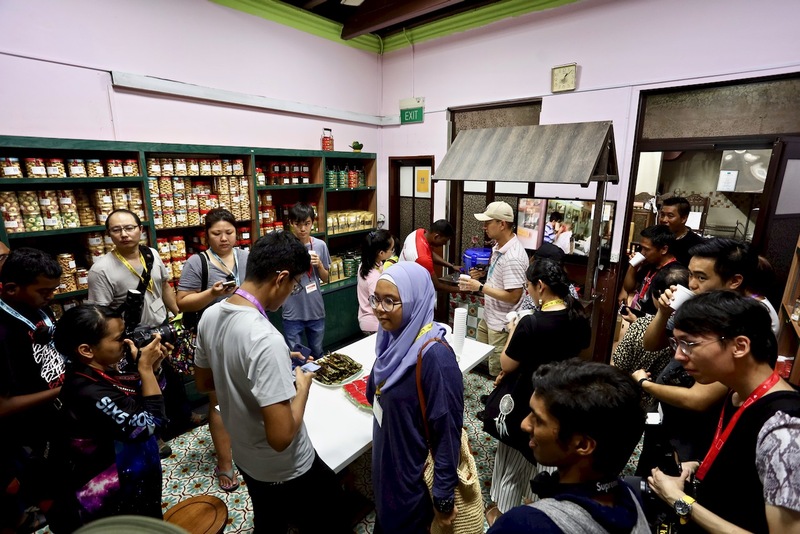 Thanks to Marine Parade Cluster for organising The Peranakan Project photo walk, it was fun to help out in a small way back to the community and heritage sector.